One full week of intensive dance classes, fun and exciting camp activities and a lifetime of memories! featuring top midwest teachers and special guest teacher Leslie Abegglen! Now in our 32nd year of exciting, intensive, affordable summer dance! This fast-paced program will provide a rewarding challenge for dancers at moderate to advanced levels. Enrollment is limited to 70 dancers and students will be grouped by ability to assure individual attention. Minimum requirements: age 10 and two years of ballet. Students will take three to four classes daily. In order to achieve balanced enrollment, we limit the number of students in each age bracket – so to avoid disappointment, please register early. When an age bracket is filled, a waiting list system will apply. Waiting-list applicants will be informed. modern dance, jazz/lyrical, and choreography. The State 4-H camp is located on the edge of the nation’s largest man planted forest, near Halsey, NE. It’s location combines the best of a forest setting with the great Nebraska Sandhills. There’s a lot more to Dance Camp than just dance! Enjoy walking the forest trails, challenge yourself on the TRUST course and zip line, and get creative making your own tie-dye shirts. Water activities include games, water slides, mud pit, and tubing down the Middle Loup River. 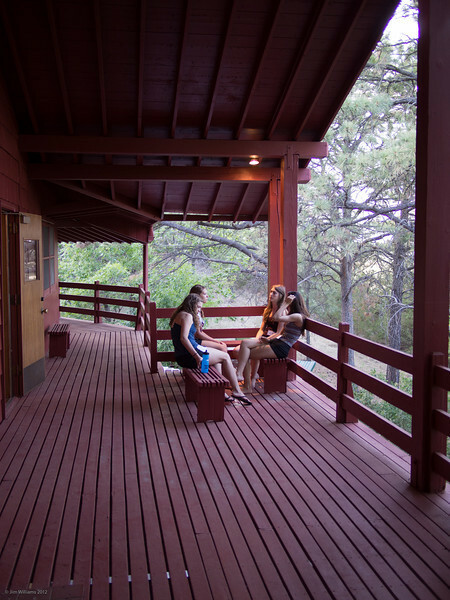 At night, gather around the camp fire and enjoy evening programs in the main lodge including cabin skits, talent show, and other special group activities. Accommodations at the State 4-H camp include cabins with bathrooms and showers. The main lodge, grand ballroom, and cabins are air conditioned. Nutritious and tasty meals to nurture active, young bodies are served in updated dining facilities. The total cost for camp is just $525, including tuition, room & board, all activities and camp T-shirt. Originally from Lincoln, Leslie Abegglen has been dancing since the age of five. She earned her degree in Dance from the University of Nebraska-Lincoln, where she worked with dance greats such as Fred Matthews, Gail Kassing, and Derryl Yeager. During her 5-year tenure with the Omaha Ballet, she performed many classical works such as Swan Lake and The Nutcracker, though her favorite role was the pas de deux from Don Quixote. Leslie performed and taught at numerous companies and collectives including Creighton University’s A Company of Dancers, Omaha Modern Dance Collective, and Omaha Academy of Ballet. Abegglen was the Interim Director of the Dance Program at the University of Nebraska-Kearney for two years, after a 12-year tenure as the Director of Dance at the Jewish Community Center in Omaha. Currently, Leslie is on faculty at the University of Nebraska-Kearney, teaching all levels of ballet and choreographing work for faculty concerts and musicals. She also instructs at The Dance Works and previously at Kearney Community Learning Center. Leslie is active in the community and serves on several Boards including MONA (Museum of Nebraska Arts) and Rowe Sanctuary. She is excited to be returning to Nebraska Dance Camp for her fifth summer! Danielle Laurion MA, R-DMT, GLCMA, LMHP is a dancer, educator, dance/movement therapist, and choreographer in the Omaha area. She is the director for The Moving Company, teaches dance courses as an adjunct faculty at the University of Nebraska—Omaha, heads the dance program at Omaha South High School, and is the director of the Reach For It program for people with Parkinson’s Disease. She specializes in working with different populations to integrate the mind and body through movement. Prior to moving to Omaha, Danielle danced with companies such as Kho Thi, David Dorfman, Jump Rhythm Jazz Project, and Hip Hop Connexion. Lauren Wichert is a graduate of Creighton University with a degree in English and a minor in dance. While at Creighton Lauren studied ballet, tap, jazz and modern and performed with the Creighton Dance Company. Following college she became a member of Maya Taylor Dance, a contemporary modern company. Currently Lauren is an active member of tbd. an Omaha based modern dance collective and instructor at Omaha Academy of Ballet.